Do Chris Emanuel’s sums add up? 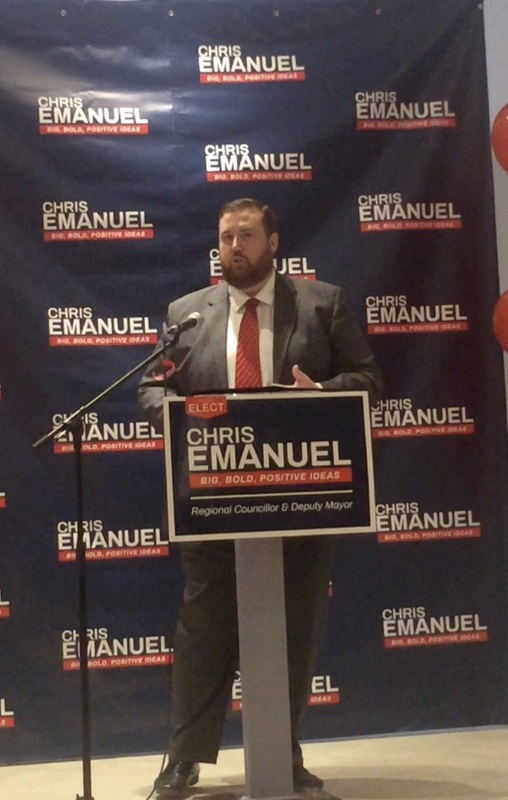 Newmarket’s Regional Councillor candidate Chris Emanuel warns voters they face a tax hike of over 40% if they elect Tom Vegh. Is this on the cards? Or even remotely plausible? Or just another example of a ludicrous, hyperbolic attempt to smear a political opponent? Leave aside for the moment that regional councillors – as elevated as they may be – have no powers to impose eye-watering tax increases. They have to persuade their colleagues to vote for policies which have consequences for taxpayers. Vegh says Emanuel is fearmongering. He says the figures are absolutely untrue. Emanuel claims Vegh’s support for York Region subsidized housing would mean a staggering 27% increase in our property taxes. Vegh counters by saying subsidized housing for seniors is 100% funded by the provincial and federal governments. But “subsidized housing” is not restricted to seniors. Can we agree the meaning of terms? York Region subsidizes rental at 212 Davis Drive but the tenants are not all seniors. Emanuel excoriates Vegh for pushing for a new library and seniors’ centre predicting this will mean a 6% increase in property taxes. “Building a dual-purpose library/seniors centre is partially funded by development charges. The Town already has $2.6 million dollars in restricted reserves dedicated to this project, and that fund is growing by about $300,000 every year. “The Region of York and the Province are already in discussions to build an east/west link between highways 404 and 400. No one is sure what the cost will be, and it is a project still a few years away. It will likely be a tri-party (Federal, Provincial/Regional) funding agreement. Chris Emanuel made up the “3-5%” figure and it has no basis in fact. Vegh says he has no clue what is meant by Chris Emanuel’s “other promises” and says the 3% is just another invented figure. I think Chris Emanuel should tell us how his figures were derived. Personally, I like election campaigns that rely on facts, not distortions or half-truths or suppositions or meaningless predictions. 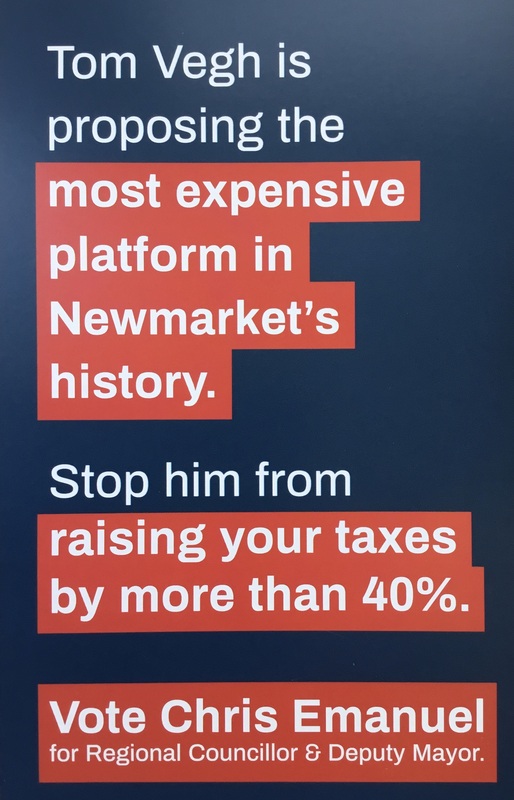 For myself, I can confidently predict with 100% accuracy that Tom Vegh’s tax increases will never materialise unless he can persuade a majority of members of Newmarket Council to go along with them.